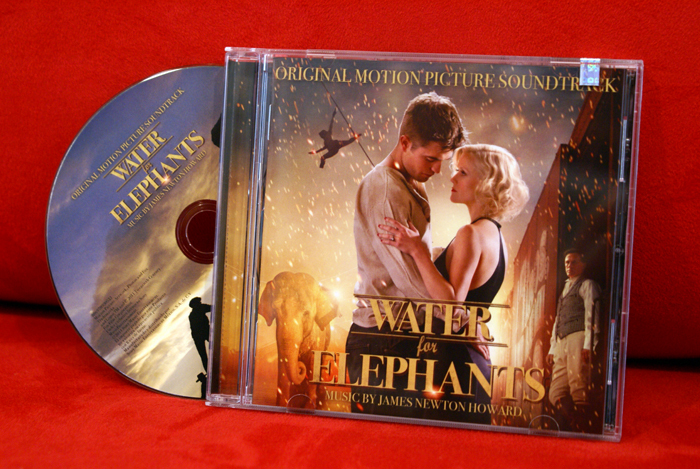 I made a short trip outside the city and visited a local CD store where I decided to purchase the soundtrack of 'Water For Elephants', just a few hours before watching the film at the cinema. 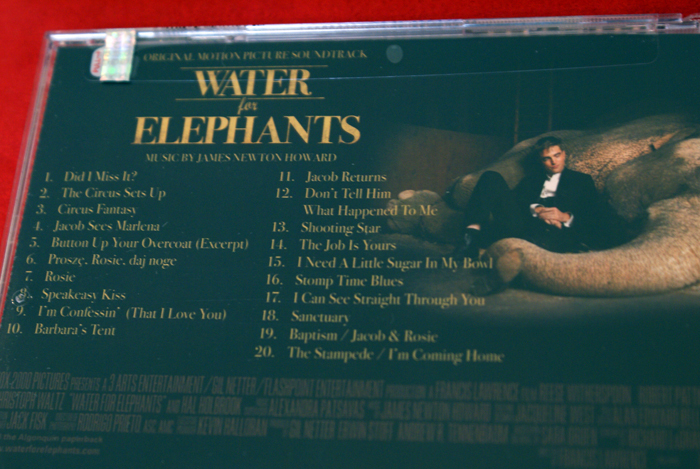 'Water For Elephants' directed by Francis Lawrence ( he has directed several music videos), just opened at local cinemas.The film stars Robert Pattinson, Reese Whiterspoon and Christoph Waltz. The score is composed by Grammy-winning composer James Newton Howard and includes tracks such as ' I'm Confessin' That I Love You' & 'Don't Tell Him What Happened to Me', ( for scenes featuring Reese Whiterspoon & Robert Pattinson bonding together and falling in love). I liked 'Baptism/Jacob & Rosie' that sounds like some kind of Circus-style music & loved the burlesque peep show sounds of 'Barabra's Tent'. If you have the chance, make sure you check out the full album and go see the film, I enjoyed it!